Drinks: Complimentary black tea is mild and roasty; soft drinks, served in tall plastic tumblers; midcentury and tiki cocktails mixed strong; scorpion bowls make for a party. Quirky dishes: "Chef's Special" lo mein boasts an array of vegetables, seafood and meats — and ham pieces. Fortune cookie: To find yourself, think for yourself. "Everything on the menu is Chinese for Americans," says Li Juan "Lee" Chen, who, with her husband, Ling Cai ("Mike"), runs Chan's House Chinese Restaurant in Bradford. 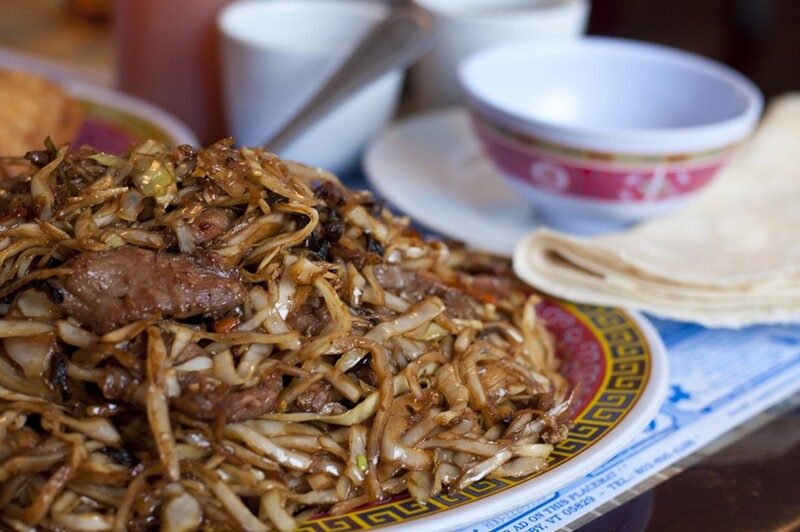 If you're looking for authentic Chinese dishes like people eat in China, she adds, "You can find them in Chinatown." While the Chens and their children tend to eat dishes from their native Guangzhou, a busy port city on China's southeastern coast, asking them for an off-menu experience will elicit friendly laughter, possible confusion and, ultimately, an order of chow mein or pu pu platter. The same is true for most of Vermont's inexpensive, immigrant-owned Chinese restaurants. 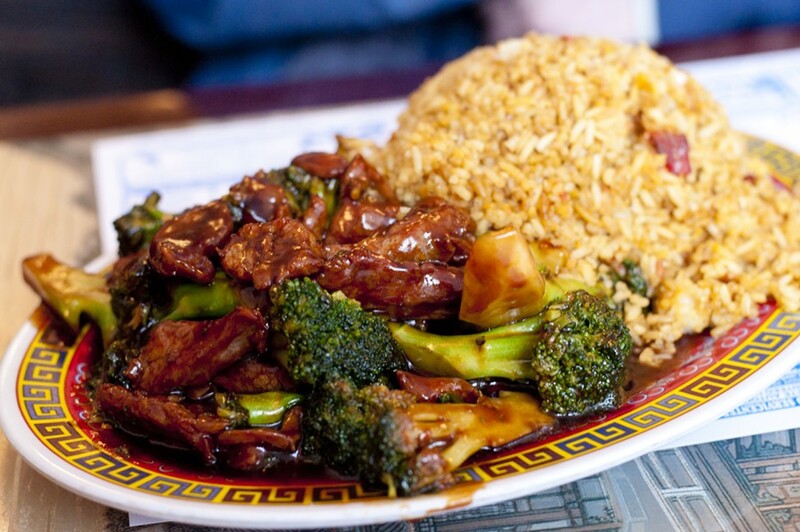 Ask what the "house specialty" is and, nine times out of 10, owners will answer "General Tso's chicken" or "sesame beef," neither of which exists in China. But the good people of Bradford don't seem to notice or care. The spare but expansive spot has held down its storefront at 184 Main Street for 22 years. For a time, back in the late 1990s — you know, before everyone had cellphones — Chan's was an after-work meet-up hub for local early twentysomethings. They'd hold court daily at a round table near the back of the restaurant, dunking chicken fingers coated in pillowy breading into tiny bowls of duck sauce. And, of course, sip well-mixed cocktails for about $3 apiece. Sometimes this would be a prelude to a beer-fueled bonfire party off a dirt road in the surrounding hills. Those young people have since grown up and many have left town, and a new crowd has yet to replace them. So now Chan's draws mostly older diners. But the menu hasn't changed. Cocktails are still crazy-cheap — $3.75 to $4.75, even for Jack Daniel's bourbon or Tanqueray gin — and food portions remain enormous. One entrée might easily feed a family of four, maybe even for two or three meals. The food generally meets the Chinese American standard. 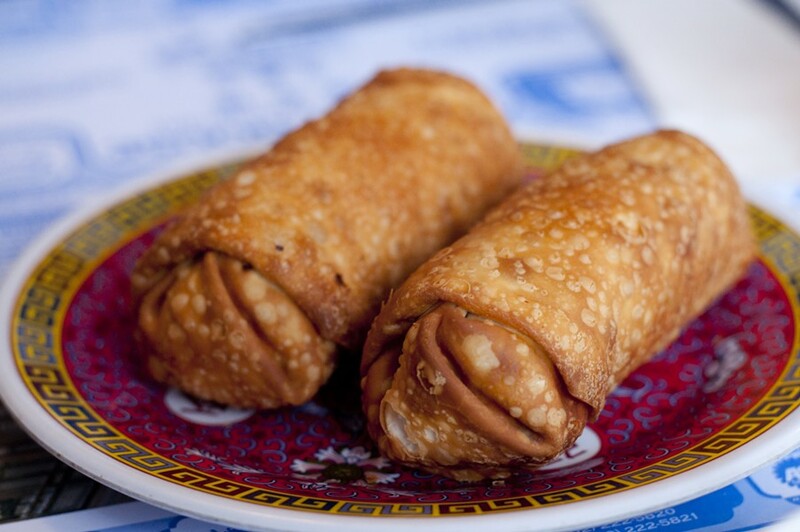 Egg rolls (this reporter's must-try) are blistered and stuffed with cabbage and crumbled pork. The crab rangoons, fried to a brittle crunch and stuffed with cream cheese, make an irresistible snack. But a few dishes stand out. Upon a friend's recommendation, I recently tried the Moo-Shi entrées for the first time. These come with a choice of meats, seafood or vegetables, which are tossed with delicate sesame-soy-ginger sauce and a small mountain of shredded cabbage, mushrooms, scrambled egg and peas. The plate is far lighter than most of the other stir-fries on the menu. Rolled into paper-thin Mandarin pancakes (smear these with a touch of hoisin), they're a hands-on and reasonably healthy meal. 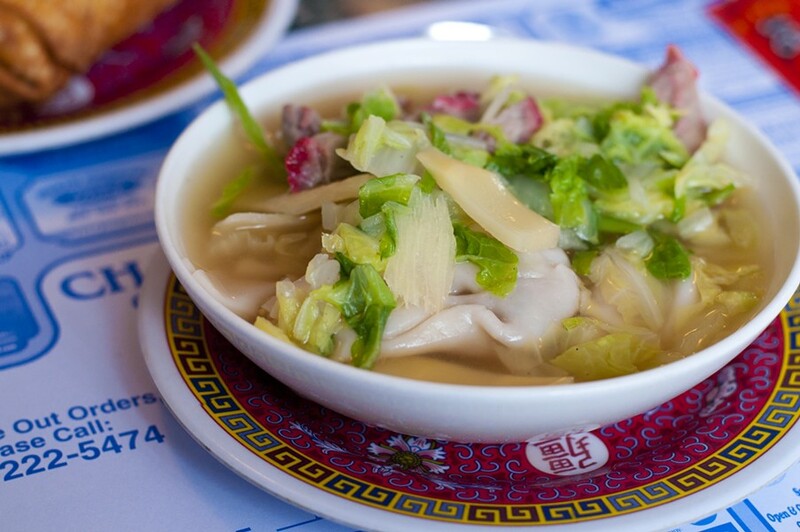 The wonton soup — if ordered in-house — comes loaded with Napa cabbage, bamboo shoots and char siu pork. Service at Chan's is informal and friendly; if you're missing something, don't hesitate to approach the kitchen door and someone will gladly get what you need. Time it right, and you'll likely find the Chens' children helping out around the restaurant or working on homework in the back dining room of the double-wide storefront. And if you like it spicy, ask! Anything can be made on a spectrum of mild to blistering hot. Is the food authentic Chinese? Not really. 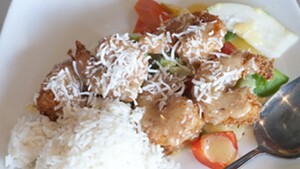 But for a friendly vibe and savory treats, Chan's is well worth a stop if you're in the area. Duck Sauce is an occasional Bite Club series exploring Vermont's unassuming, inexpensive Chinese restaurants. Love the chow mein or Hunan beef at your local wok? Please, tell us all about it: food@sevendaysvt.com.